If you’re just thinking about getting into backpacks, chances are you are overwhelmed with the choices. And if you don’t know anything about backpacks, it can be really hard to choose the right one for your needs. So, we’re here to help! In this guide, you can check out all the main types of backpacks, and all of their sub-types. 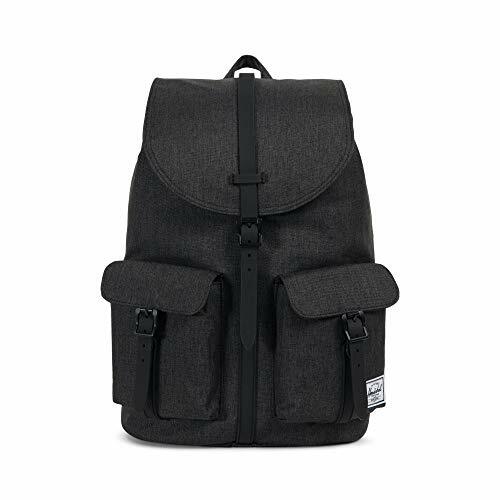 If you’re ready to buy a backpack that is exactly what you are looking for, then roll up your sleeves and start scrolling! These are backpacks that people use on an everyday basis – for school, work, commute, when going to the gym etc. And, these are arguably the most popular backpacks, since there are so many different types of them. Let’s check out what those are. A basic daypack had a standard backpack design – front loading main compartment, a large front pocket, a pair of shoulder straps and a grab handle. These don’t usually have many features, and they don’t vary too much in size. 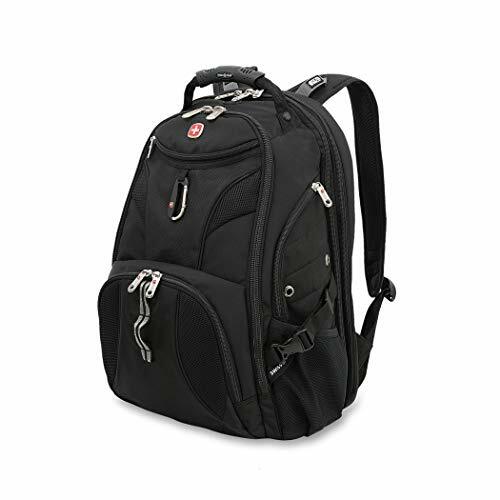 Their capacity ranges anywhere from 20-40 liters, depending on the size and number of pockets. These packs usually don’t have too many features – you’re lucky if you get an internal pocket in it. And unlike some other packs that you’ll see in this guide, these rarely have padded and ventilated backpanels. 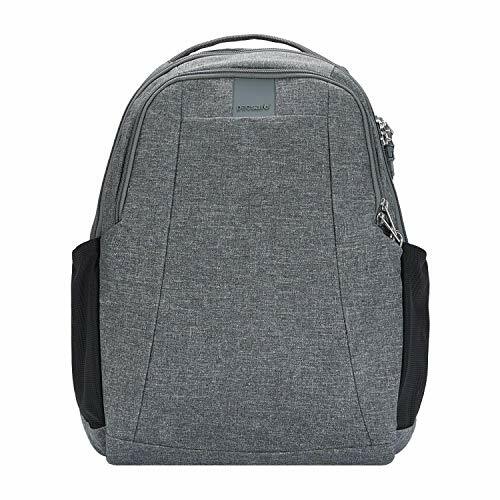 Regular backpacks have zipper closure of the main compartment. Rucksacks, on the other hand, have a flap that covers the main compartment. And there are many different ways in which this design can be carried out – the main compartment could have drawstring closure, magnetic snap closure or even remain completely open. The flap is usually attached to the body of the backpack with either a buckle or a magnet. Generally, rucksacks are smaller than regular backpacks specifically because of their design. Their capacity ranges from 15-30 liters, they often have several external pockets, and some even feature a laptop sleeve inside (like the one in the photo). 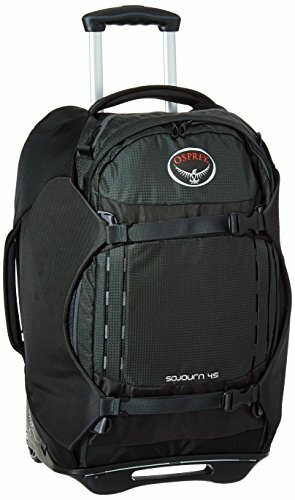 Anti-theft backpacks look just like regular daypacks at first glance. But when you really stare at them, you’ll notice that zippers and zipper pullers are not visible on most of these backpacks. And that’s their main design feature. These packs can have several anti-theft features; usually the hidden zipper pullers, but also cut-proof fabric, locks on pullers, compression straps over the zipper and various belts and buckles that hold your pullers in place. Additionally, high-end anti-theft backpacks will also have RFID blocking pockets, which will protect you even from electronic theft. Check out our detailed review to read more about types of anti-theft backpacks and the best-selling products. Laptop backpacks are packs that have a sleeve for your laptop. Pretty straightforward, right? But, there are tons of different types of these backpacks. The sleeves can be internal, external and even removable. They can fit 11” laptops, 13” laptops, 15.6” laptops (most commonly), and some even fit the 17” laptops. Their sizes range from 20-50 liters, which really depends on the size and type of the pack. Yes, laptop backpacks are most commonly everyday packs, but you can find even some hiking and backpacking backpacks with laptop sleeves. When buying a laptop backpack, you want to make sure that the sleeve will fit your laptop. That’s the first thing you need to pay attention to. The second thing you need to be careful with is the padding of the sleeve. The thicker the padding, the better shock-resistance of the backpack, which will save your laptop in case you drop your pack. These are exactly what they sound like – duffels bags with shoulder straps that allow you to carry them like backpacks. And even though that might seem really weird, there are actually some things that make these a great alternative for a classic backpack. If you’re a gym rat, you’ll find these to be more comfortable and easy to carry around than regular duffle bags. Or if you just need a backpack with a larger capacity, but prefer the organizational capabilities of a duffel bag. Duffel packs range in size anywhere from 30-120+ liters, which makes them a great choice for a myriad of different activities. In a nutshell, these are tote bags with shoulder straps. So, they are designed just like a classic tote bag – top-loading main compartment with zipper closure, a couple of external and internal pockets and two large carry handles on the top. Plus the two shoulder straps that allow you to carry these on your back. Since most tote bags (but not all!) 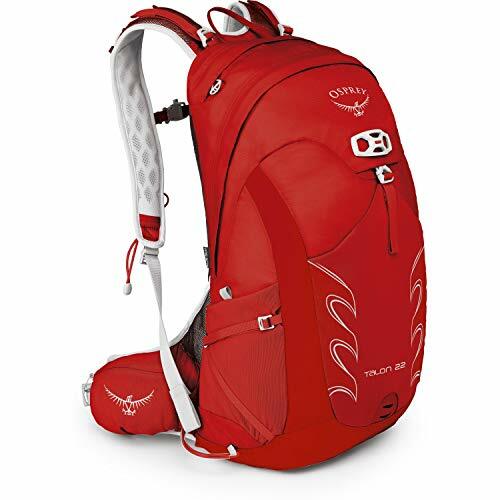 are designed for women, most of these packs are also women’s packs. 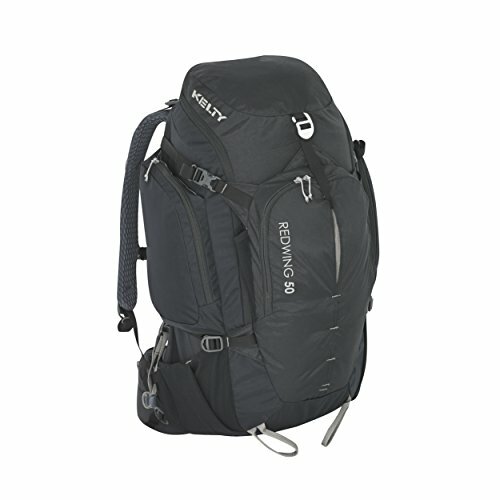 They range in capacity from 15-35 liters, which is pretty standard for an everyday pack. And some of these will even sport a laptop sleeve, which makes them an even better choice for everyday errands. However, the common downside to these is that they’re not really comfortable when used as a backpack. The shoulder straps usually have thin or non-existent padding. These are basically gym sacks with drawstring closure and shoulder straps, which makes them a type of backpack. And yes, they are very weird and barely functional. For one thing, they are usually really small, with a capacity from 10-25 liters. That’s not a lot. But it’s enough for gym gear, which is their most common use. The reason why these are quite popular is because they are extremely lightweight. Even the largest drawstring packs only weigh a few ounces, which is awesome. Additionally, these packs are often really small, which allows you to throw it in your other bag and always have them handy in case you need them. That’s generally good for travel – pack a drawstring pack in your large backpack, and you can use it to carry your essentials when you’re just out and about. These are generally pretty small, barely functional and very cute. They’re almost exclusively women’s backpacks, and you can find them in pretty much every high-street clothing store. Mini backpacks are designed to be stylish and complement you outfit, and not do much else. They usually have very small capacities, from 5-15 liters, and they will barely fit anything other than your phone and wallet. They’re a great choice if you’re looking to replace your everyday tote or shoulder bag with a mini backpack. And they’re much more comfortable to carry around than regular purses. But they really don’t have the functionality of a traditional backpack, if that’s what you were looking for. There are a couple of different types of backpacks for biking/mountaineering. We can mostly differentiate between packs for biking gear and hydration packs, and that’s what we’ll check out in this section. These are pretty straightforward. Hydration packs are small and lightweight backpacks, with a capacity that usually ranges from 3-10 liters max. That’s because they are generally designed just for hydration, and only some of them will include an additional pocket for some of your other necessities. These packs have the purpose to provide you with hands-free hydration while you are riding, so that you don’t have to stop and get off your bike every now and then. Their main compartment is designed to hold a hydration bladder and not much else. Of course, a hydration bladder and all of its accessories are included in the purchase of such a backpack. Biking backpacks for gear are larger than hydration backpacks. They tend to have a main compartment, as well as an additional compartment (or a pocket) with an organizational panel for all your cycling gear and tools. And most of them will have an attachment point for your helmet and LED lights on the front. Generally, these packs are meant for people who need other gear, apart from their hydration bladder, when they are biking. 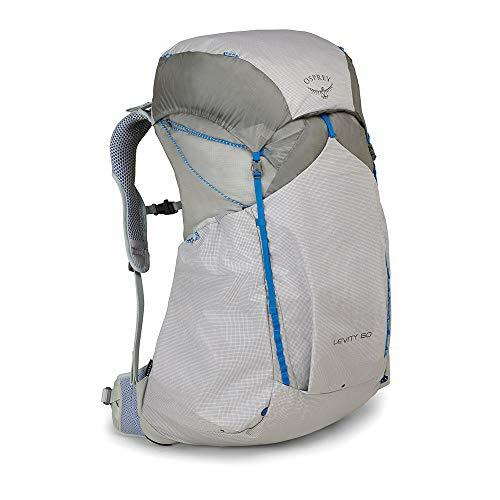 The capacities of these packs usually range from 10-30 liters, because the manufacturers try to keep them as small and lightweight as possible. Nobody wants a backpack to slow them down while they are riding! Oh, and they have a sleeve for your hydration bladder, although not all of these packs will come with a bladder included. As their name says, these backpacks are designed for people who often go hiking/trekking. They have multiple attachment points for all the gear you need on your adventures, a spacious main compartment for your clothes and other necessities, and most importantly a comfortable and ventilated backpanel that will keep you cool and dry even in the warmest months. Well, the good packs have it. And by small, I mean backpacks with capacities up to 30-40 liters. 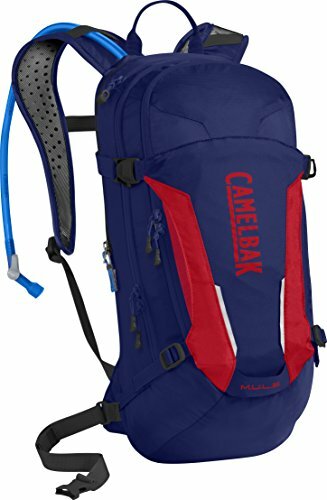 These are great for people who generally go on shorter hikes and don’t need to bring too much gear with them. They are lightweight, have a soft and ventilated backpanel, and are perfect for carrying all your necessities. Also, they’re not really small – usually they are the same size as your regular day pack. 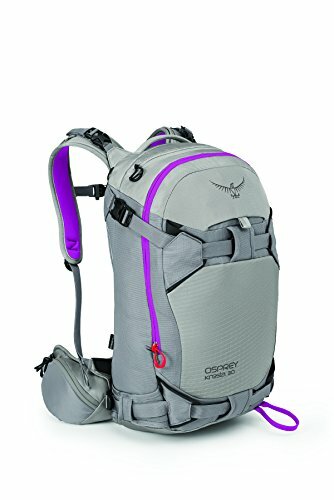 They just have some features that make them a much better choice for hiking than the pack you use for school or commute. Additionally, these packs will often have a hydration sleeve and a few different attachment points for your gear. Large hiking backpacks are designed for people who aren’t afraid of taking on the most difficult hiking trails. Which means plenty of gear, and spending a night or two in a tent. These are very big backpacks, with capacities that range from 40-85 liters. And we can generally divide them into two sub-categories: framed packs and frameless packs. We’ll talk about each category in a little bit more detail. 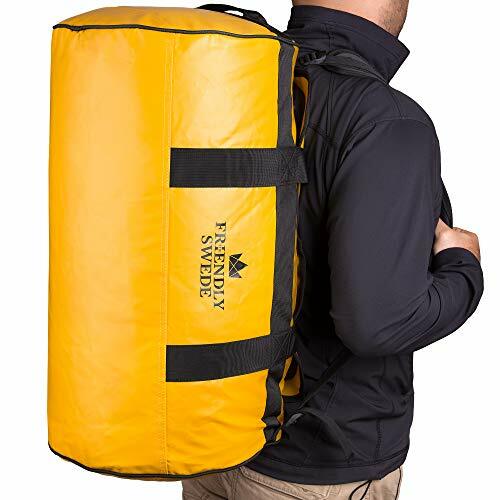 These are large hiking backpacks that usually have some sort of frame built into them, which allows them to stand upright even when they are completely empty. The frames are most often made of aluminium, since it is one of the most lightweight materials. One benefit of these packs is that they are better for organization than frameless packs. It’s easier to pack inside them, and the frame usually helps a lot with stability of the pack. Which is crucial on uneven terrain. But, framed packs also tend to be heavier than frameless packs. 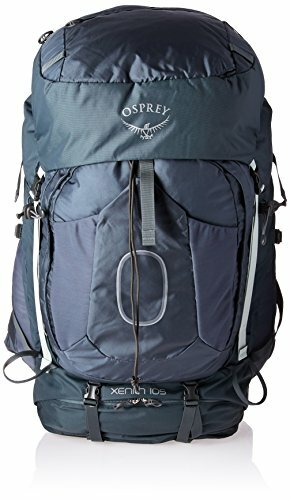 So, if you’re looking to find the ultimate lightweight pack, I suggest you move on to the next category. However, if you are more interested in stability and generally a better fit, then these are the hiking packs for you. 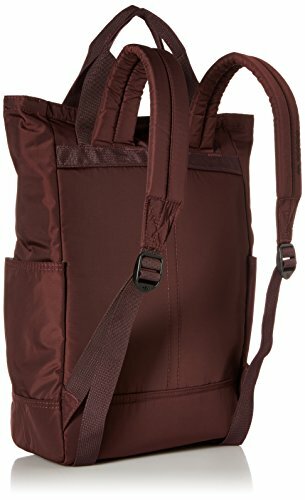 Obviously, these are hiking backpacks that do not sport any type of frame. A general upside of these is that they are incredibly lightweight, with most of them weighing less than 1.5 lbs. They are a great choice for smaller loads, since the load itself is what dictates the shape and fit of the pack. But with heavier loads, these packs tend to get heavy and uncomfortable. Think about it; with a 50lb+ pack, you need all the support you can get. Otherwise you are going to be in a lot of pain the next day. These packs also collapse when empty, since they don’t have a frame that will keep them upright. Which makes them great for storing when not in use, since they don’t take up too much space. Skiing and snowboarding backpacks are generally pretty similar to hiking backpacks. They are similar in size, and their capacities usually range from 20-45 liters. These backpacks also sport hipbelts, adjustable and padded shoulder straps, as well as a comfortable and ventilated harnesses. So, are they even different from hiking backpacks? Yes they are. These packs have gear attachment points that are specifically designed for carrying your skiing/snowboarding gear. They will often have a spot for your helmet, attachment points for your skis or a snowboard and your skiing poles, as well as a place where you can quickly stash a spare layer of clothing. And they are designed to be as lightweight as possible, since no one needs an unnecessarily heavy backpack on the slopes. In addition to that, the exterior of these backpacks is usually waterproof, in order to keep your gear inside the main compartment safe and dry at all times. The last type of backpacks that we’re going to talk about in this guide are travel backpacks. There are a few different sub-types of them, and I’ll tell you everything you need to know about each of them. If you’re familiar with the phrase “backpacking through Europe” then you’re probably familiar with these types of packs. 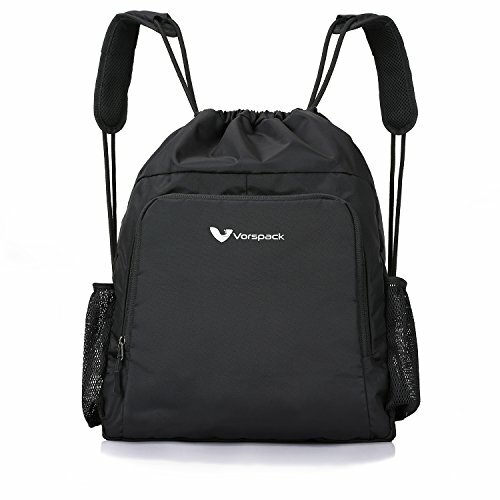 They are large backpacks, designed for people who are going on trips that are at least a month long, and who want to carry all of their items in a backpack. Their capacities range from 70-150 liters, depending on their size. You should choose one wisely, depending on the length of your trip. These backpacks get really heavy, so they have to have some features that will keep backpackers comfortable throughout their adventures. A thick padding on the backpack and harness is what you should be looking for, as well as good ventilation. And in terms of organization, they often have more than one compartment for your stuff. 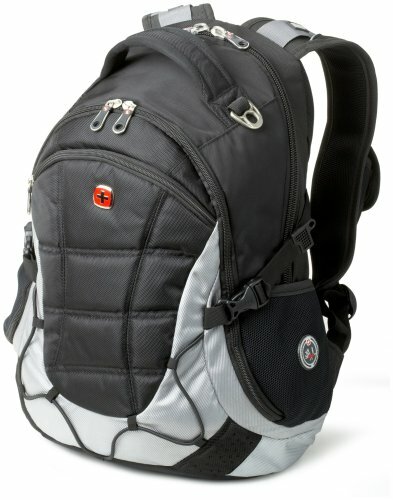 Additionally, some of these will come with a detachable daypack, which is perfect when you are going out just to explore. These are slightly smaller backpacks, that are large enough for shorter trips, but small enough to be accepted inside the cabin. Their capacity ranges from 20-40 liters, but their main design characteristic is that they are 22” tall at the most. However, carry on size limits differ from airline to airline, and you want to get a 20” backpack if you want to be sure that it will be accepted inside the cabin everywhere. 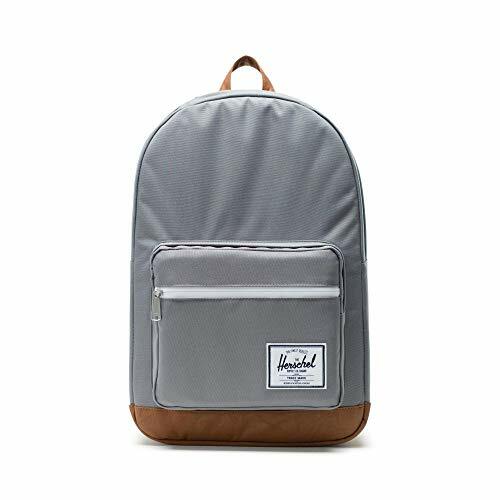 These backpacks usually have one or two main compartments and several different pockets that allow you to organize your stuff. Some of them will also have a laptop sleeve, or even a whole compartment dedicated to the organization of your tech necessities. TSA friendly backpacks are basically carry on backpacks with TSA friendly laptop compartments. What that means is that the laptop compartment can be unzipped to lie flat on the scanner, so that you don’t have to take out your computer when you are going through TSA checkpoints. This makes going through the airport faster, and it’s perfect for the time-efficient traveler. In terms of their other features, they are pretty much the same as regular carry on backpacks. Their capacities range from 20-40 liters, and they are small enough to be accepted as carry ons. You can expect them to have at least one main compartment, in addition to the dedicated electronics compartment. And a few other pockets, so that you can organize all your necessities. 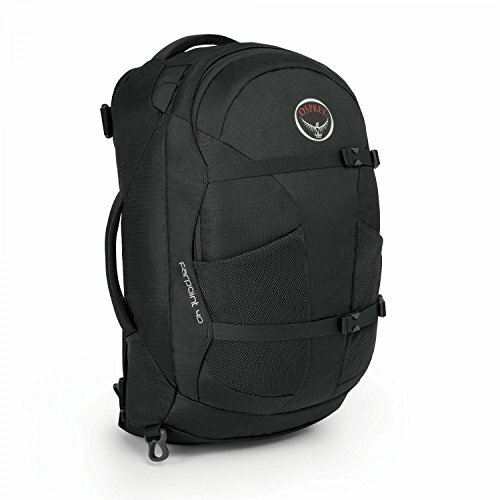 If you prefer the organizational aspects of backpacks, but also really love the functionality and the easiness of travelling with a suitcase, then a wheeled backpack is for you. It’s the best of both worlds – a bag that is designed as a backpack, with all of the features we know and love (including shoulder straps), but with the addition of wheels and a wheel handle. The capacity of these packs ranges from 40-150 liters, meaning that you can get them both in a carry on size and a checked bag size, depending on your personal preference. These backpacks usually have thickly padded backpanels, which ensure that their wheels aren’t making you uncomfortable. You can also expect them to have several spacious compartments, pockets, a hipbelt and comfortable shoulder straps.